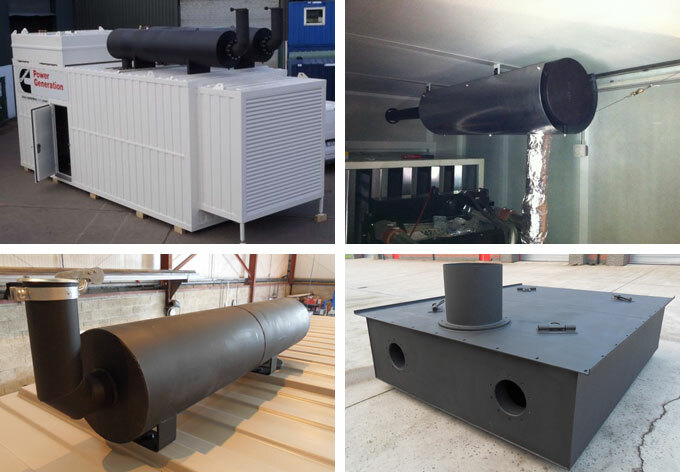 Industrial, Residential & Critical Silencers designed and manufactured to suit your needs. We have many proven designs for Gen Set silencers ranging from 25Kva to 3000kva. Whether it's an open set canopy or building installation, we can supply you with a full exhaust kit (silencer, pipe work, bellows, rain cap, flanges & clamps). Back pressure calculations can be supplied if required. Mild Steel or Stainless Steel, Round Or Square. SCL Exhausts will have the solution for you.